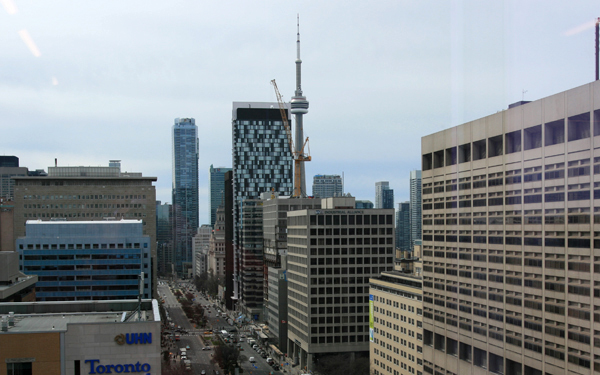 Facebook Inc.’s Canadian division officially opened its new Toronto office in the MaRS Discovery District (above), a government-supported innovation hub, today, with more than 40 of the company’s non-profit clients and even Ontario Premier Kathleen Wynne on hand to celebrate. 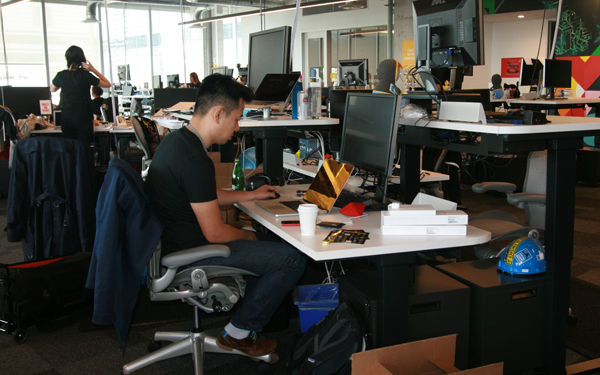 Join us for a photo tour of the Silicon Valley icon’s latest Canadian digs. 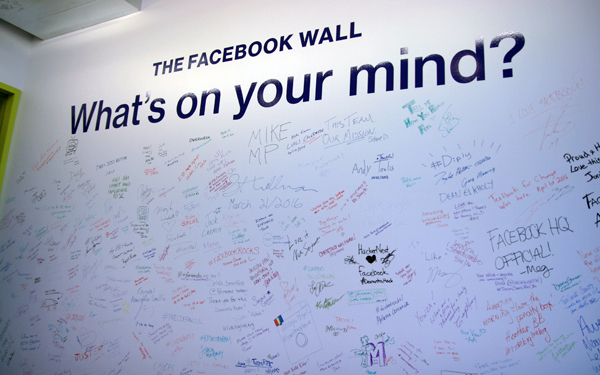 A fixture at every Facebook office, the Facebook Wall invites visitors to leave comments for the staff, in permanent ink. 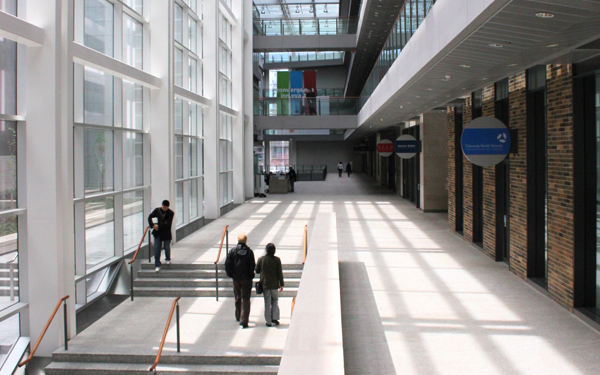 It wouldn’t be a modern tech giant without a ludicrously well-stocked cafeteria. 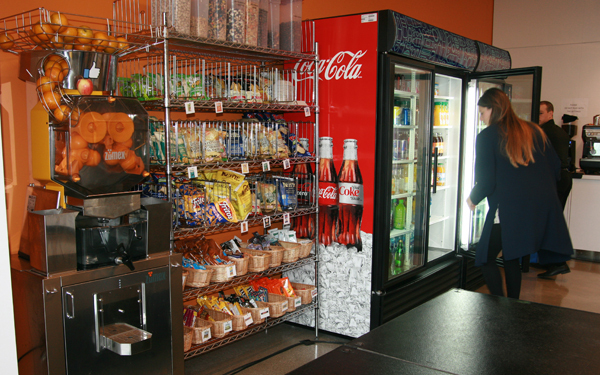 Anytime Facebook employees wish, they can visit their own private convenience store and help themselves to a range of snacks, juice, fruit, vegetables, and yogurt. Nearby buffet tables are stocked by professional caterers for breakfast, lunch, and dinner. 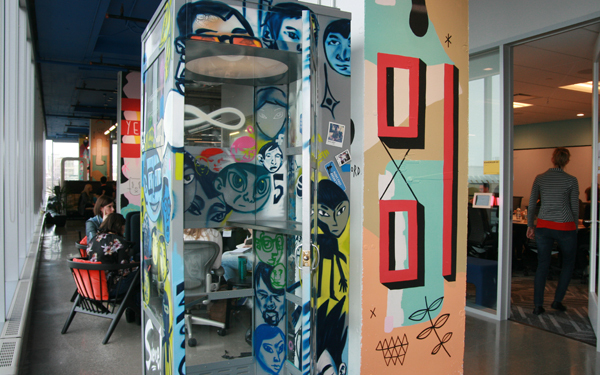 The walls of Facebook’s Toronto office were painted by a team of four artists – three local (Justin Broadbent, PERU 143, and Bareket Kezwer), plus company designer Scott Boms – over a period of seven days. 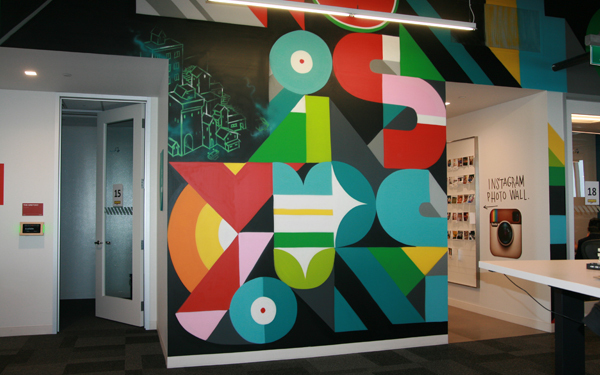 This is one of two murals at the north end of the office, symbolizing Facebook’s guiding principles of openness and connection. 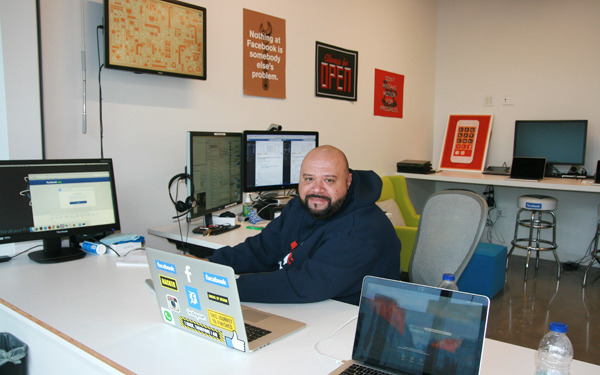 The IT department – which, like the rest of the office, is covered in posters and inspirational quotes – faces west, where employees can walk up to the open counter at any time and ask for help. Another random decoration, with Facebook apparently repurposing one of the last phone booths in Toronto so that employees could have a private place to chat. We bet your teleconferencing room never looked like this. Where the magic happens. 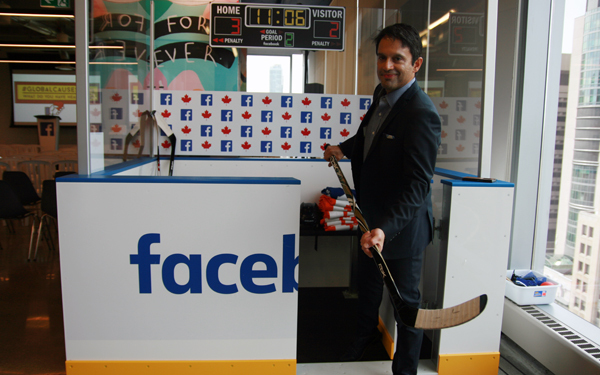 Nobody at Facebook has their own office, to encourage what Facebook Canada’s managing director Jordan Banks calls “constructive eavesdropping,” though the company provides plenty of meeting rooms for group projects. 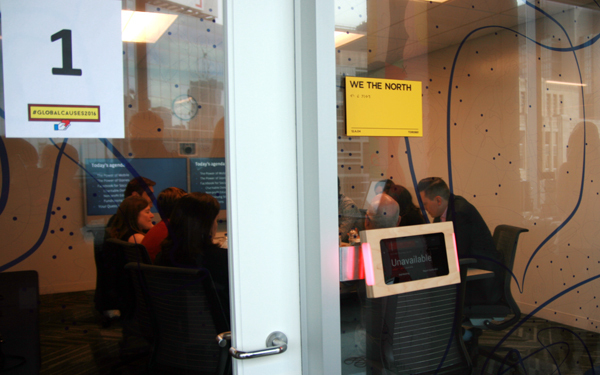 All of the office’s 18 meeting rooms has a name inspired by Canadian culture (some of our favourites: Loonie Bin, Degrassi Junior High, and “Boardroom, Eh?”). 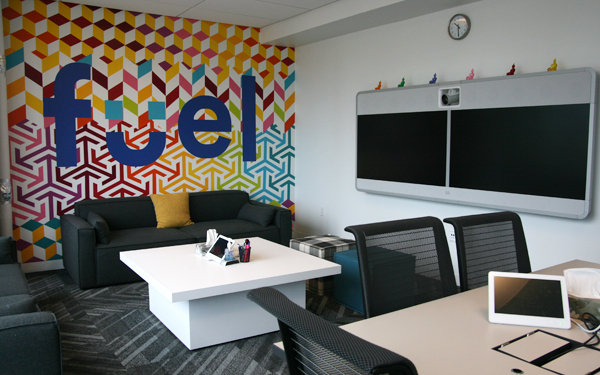 Inside, each room’s interior exemplifies Facebook’s commitment to mixing work and play, with colourful art, comfortable seating, and video communication terminals among the desks (this particular meeting room is “Because It’s 2015”). 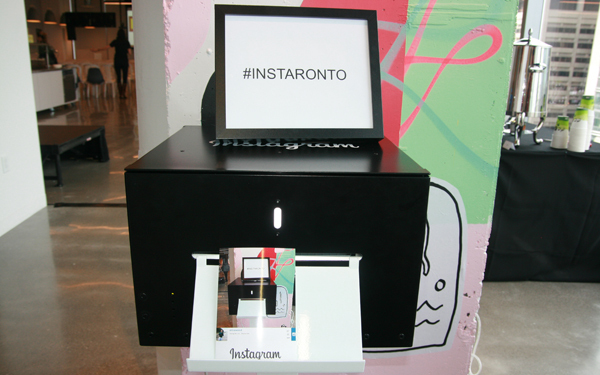 One of the office’s more ingenious decorations, this photo printer will reproduce any Instagram shot with the featured hashtag – and we have the picture to prove it. 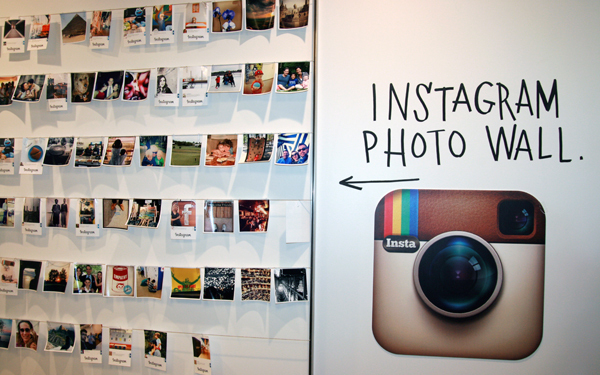 After the photos are printed, they’re posted here. 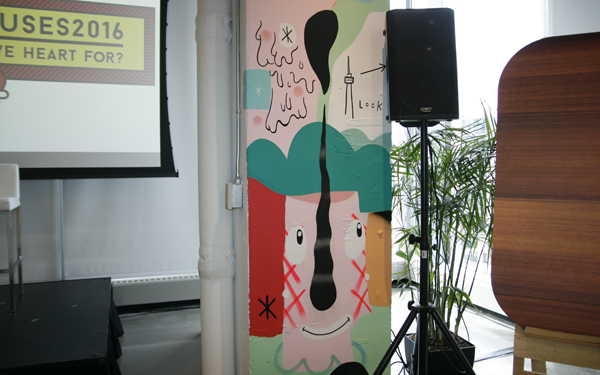 Yes it’s partially obscured here by a speaker, but we particularly appreciated this pillar at the office’s south end, which encourages visitors to look in a certain direction next to a drawing of the CN Tower. And if they follow its advice, this is what they see.